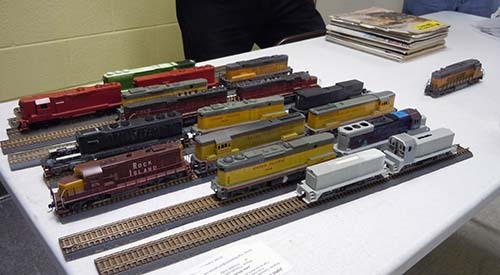 Learning from other modelers is a major benefit of the NMRA. Below is a list past clinic presentations by various members and guests that shared their skills. We are extremely appreciative of the efforts put forward by the presenters. Click on a title for additional details of that clinic. 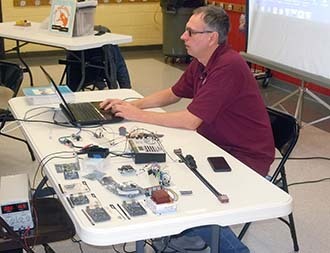 March 2019 - "Arduino devices - Part 4" by George K.
George continued his series on these miniature computing devices showing us how to use them for DCC Accessories, Turnout control and Throttles. No notes are available from this clinic. 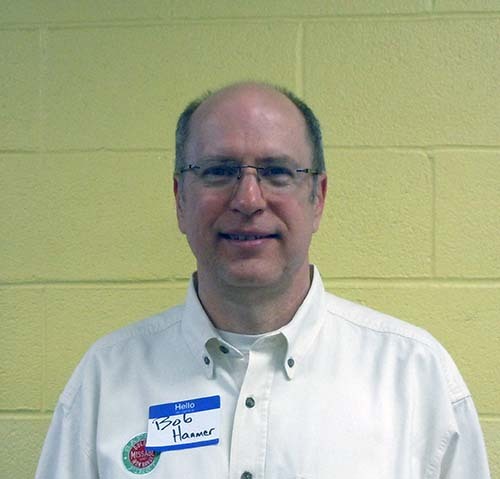 Mike's grew up in Two Rivers and consequently has detailed knowledge of his home town. 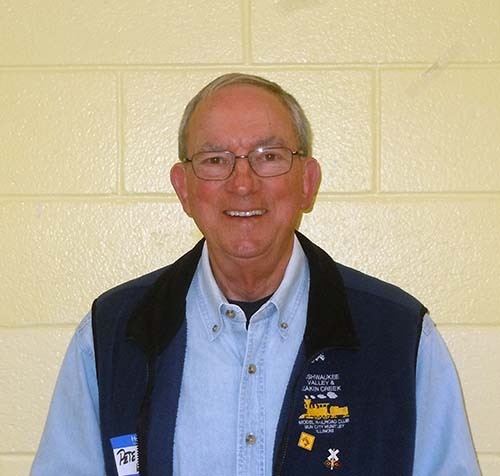 He gave us an extensive look at the origins of the town from over 100 years ago, through his time living in the town and what it looks like today. 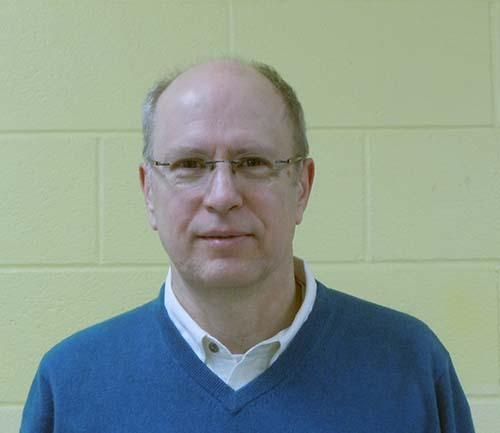 Bob has researched the development and use of Inductive Train Communications that started in the late 1940's. 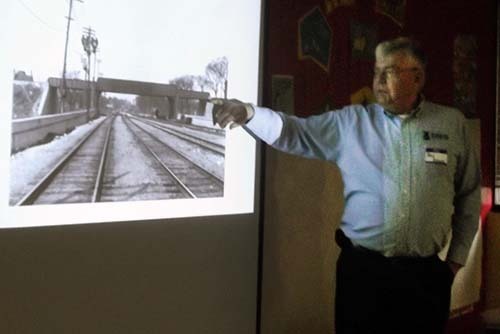 His presentation covered the many railroads that used the technology. 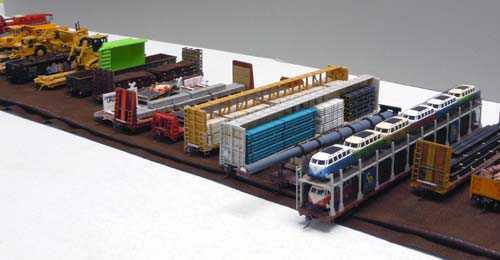 Rick shared many prototype and model photos of various Junctions, Interchanges & Diamonds for your Model Railroad. Steve gave a very detail discussion about the history and evolution of tank cars. No Notes are available on this clinic. 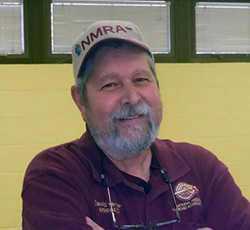 George Discussed the Timetable used for the Clichfield RR"
Pete took us through the evolation of four railroads up to and including the "Great Midwestern" which by the way is featured in the 2018 issue of MR's "Great Model Railroads"
January 2018 - George K. gave us an update on using Adrunio modules to make an inexpensive DCC system. He also discussed the latest improvements available on the modules. George is performing a live demonstration of the Adruino throttle. 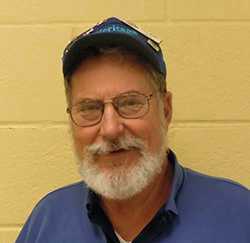 December 2017 - "Ramblings of an Old Railroader" by Fred Henize. 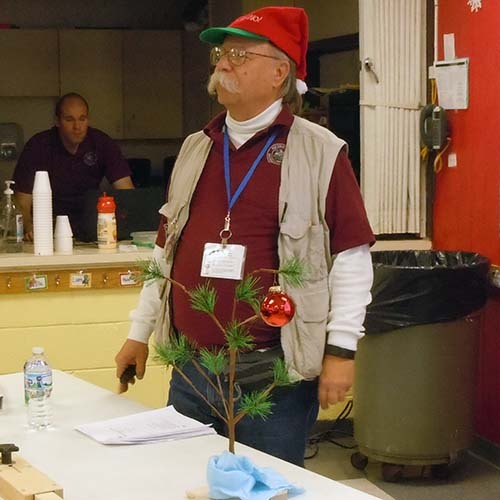 The DuPage Division's Fred Henize entertained us with "Ramblings of an Old Railroader.. 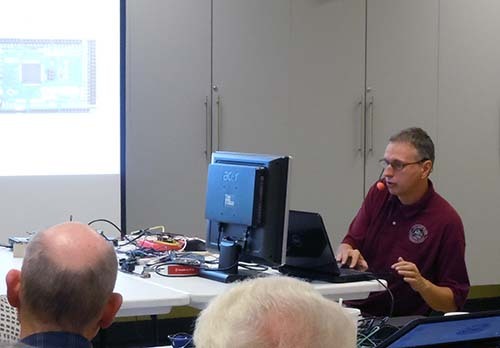 The Fox Valley Division’s webmaster Jim Osborn gave the division a brief tour of his C & NW, Western Division, railroad and then an overview of the main elements of the automatic signally system he operates on the pike. 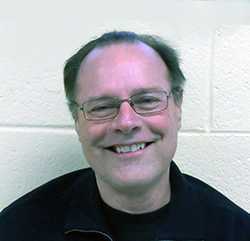 Click Here to download a copy of Jim's reference notes. 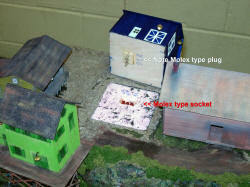 Rick shared many prototype photos of quick and easy industries we can add to out pikes. 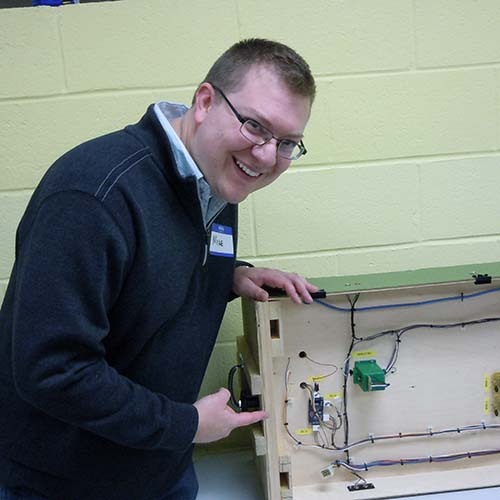 David gave a review of how he designed his prototypically accurate 1947 Waupaca Railroad and how he is now rebuilding it on portable modules. Chris gave us an overview of how train priorities, rights & track authority under TTO rules can apply to model railroad operations. Many thanks to to George for sharing numerous photos of his Railfanning trip to Southern Africa. His photo montage featured the luxurious Blue and the Rovo Trains as well as many spectacular photos of the countryside and wildlife of the region. 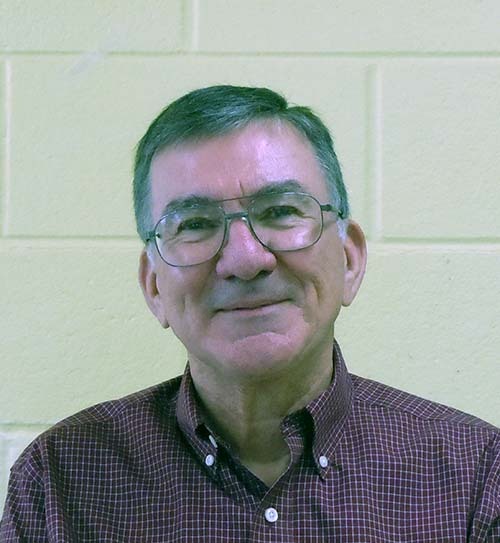 Click Here to see several of George's spectacular photos. 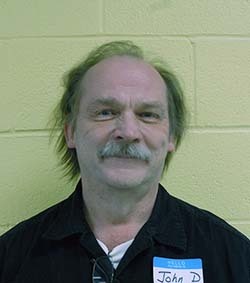 March 2017 - Bob Hanmer - Duluth Missabe Iron Range operations. 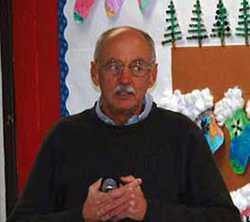 Bob Hanmer discussed the Duluth Missabe Iron Range operations as well how he modeled them on his highly detailed pike. 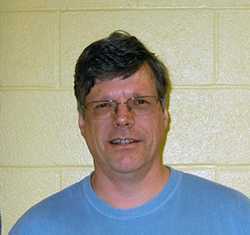 Bob uses protypical timetabe and train order rules in his operating scheme. 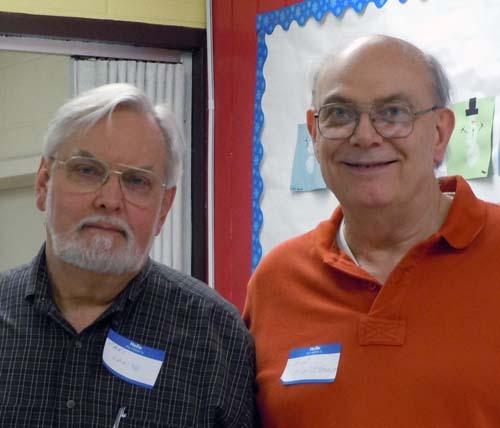 January 2017 - Dave Phillips and Gary Cohn entertained the group with informative discussions. 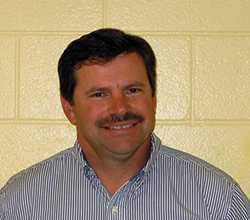 Dave Phillips presented a timely update about opertion lifesaver reminders. He also showed a number glass plate high resolution sildes from the Chicago & Northwestern Historical Society archives. 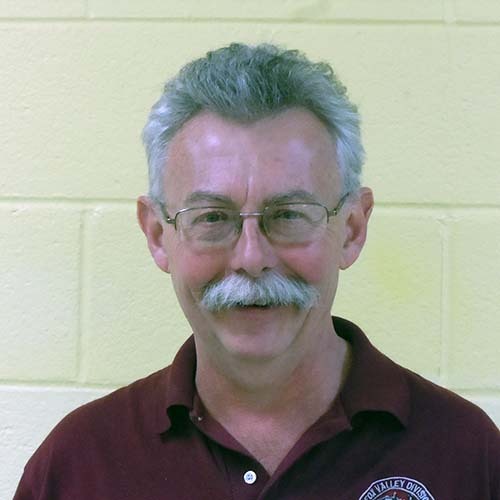 Dave is appealing to all railfans to support the construction of the new CNWHS archive building to be located at the IL RR museum with a donation to the CNWHS. Special Guest Speaker Gary Cohn of GoodDealsDCC, the manufacturer of the “test tracks” on the table, had the audience in stitches listening to how he started with an idea and how it is now featured on MR Video Plus, had a booth at Train Fest, meeting the Kalmbach guys, and his success thus far making these test tracks in various single gauges and mixed gauges, too, sending them all over the country. December 2016 - Mike Skibe presented a detailed discussion on the MiniModutrak modular group, their objectives, methodolgies and construction standards. 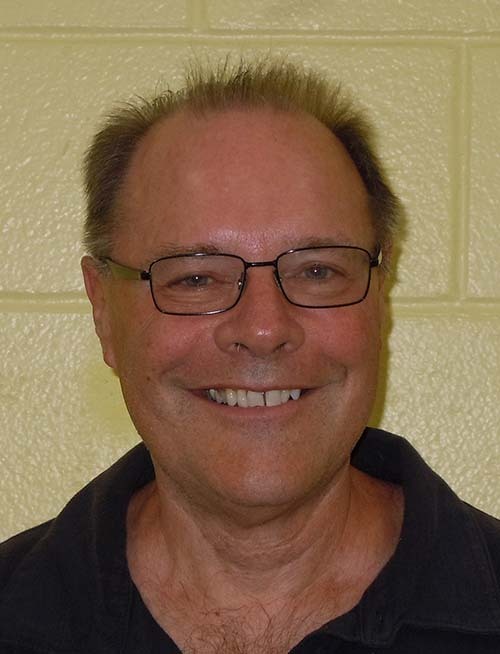 Click Here for a copy of Mike's clinic presentation. Click above on the clinic link to to learn about the MiniModutrak story. Contacts are listed for various tools and equipment they use in the construction of the modules. Click this link to go to the MiniModutrak website to see some of the wonderful scenes on the Minimodutrak modules. 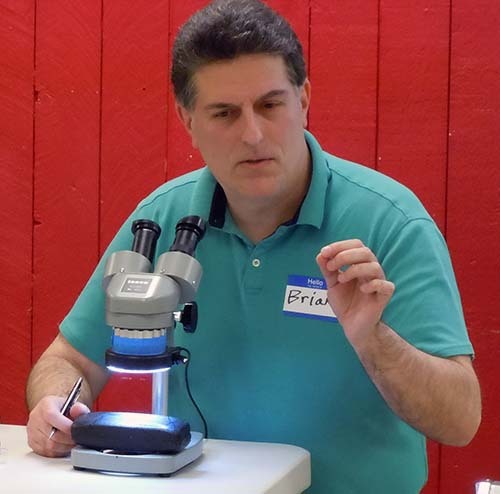 Novenber 2016 - Brian Williams discussed how to model the very small scales through the lens of a microscope. 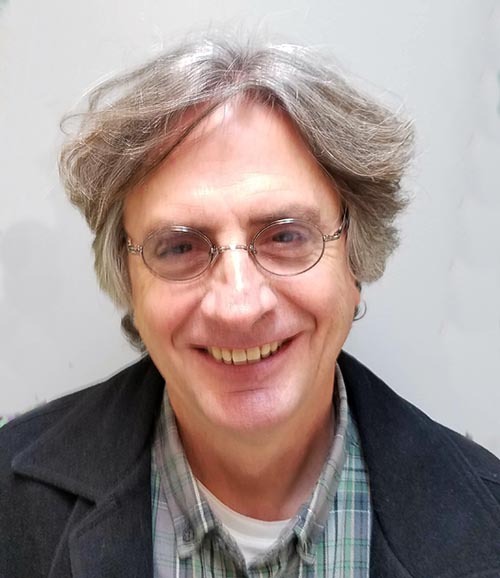 Click Here for a copy of Brian's clinic presentation. 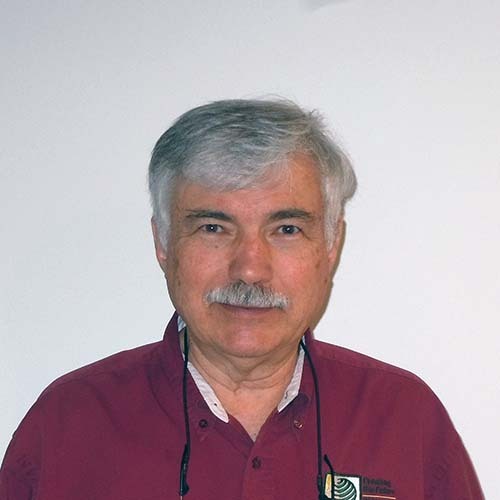 October 2016 - George K. took us through a discussion on using Adrunio modules to make an inexpensive DCC system. February 2016 - John Drozdak presented a slide presentation of various prototype "Slugs" & "B-Units" he photographed followed up by photos and live examples of various custom built models he has produced. 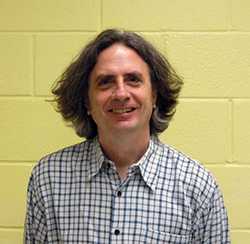 Plus David Leider discussed the status of the UP steam program. 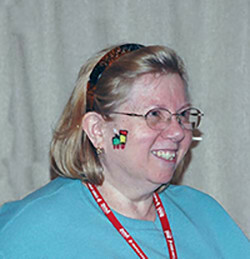 November 2015 - Ingrid Drozdak gave an excellent presentation covering how to create Great Contest Photos. Click Here for a copy of the clinic presentation. 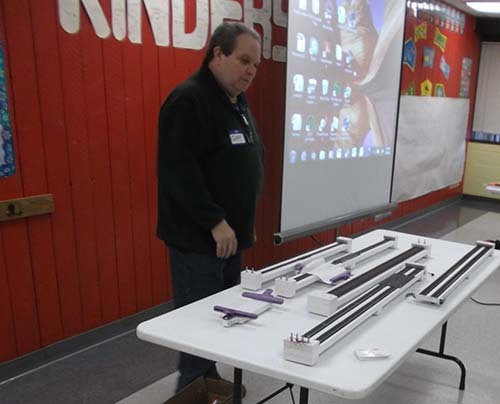 February 2015 - Jeff Jarr discussed how to weather and ballast track. 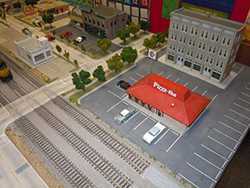 December 2014 - Jeff Jarr discusses his techniques to make realistic roads and parking lots on your layout. November 2014 - Mike Wood discusses some basic electronic animation you can use on your layout. 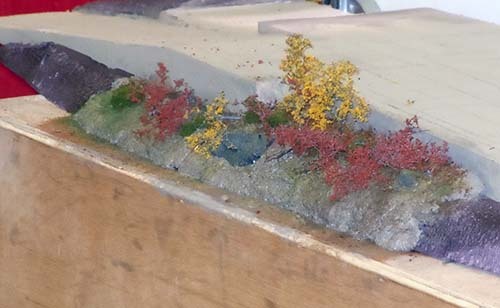 April 2014 - George Trandel discusses Rock Casting and Scenery Techniques. 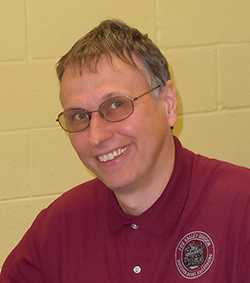 October 2013 - David Sima discusses open loads. 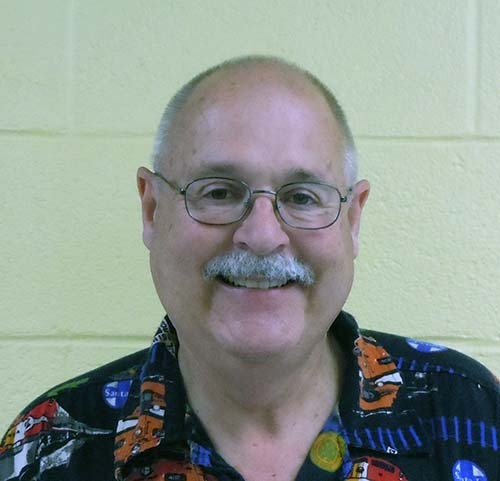 January 2013 - Mike Wood discusses his pursuit of the Scenery Achievement Program Award. January 2013 - Dave Leider distributed information on the scale time required for various operations related jobs on your model RR. 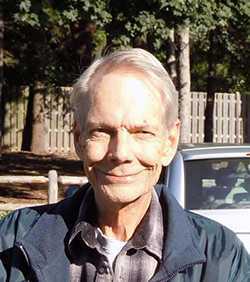 Click Here for a copy of the notes David distributed. 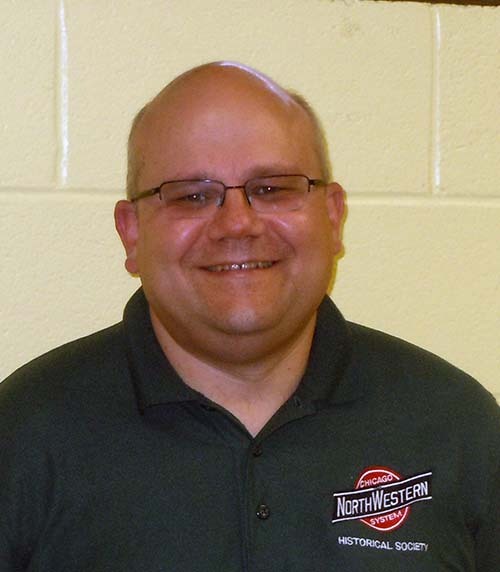 November 2012 - Dave Phillips gives a detailed discussion on CNW Hopper Cars. 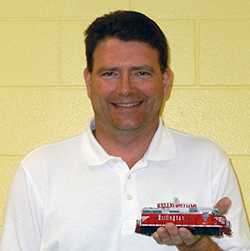 September 2012 - Bill Kirchmeyer discusses Model Railroad Operations. 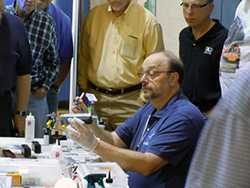 May 2012 - Paul Gehrett discusses Weathering Techniques. Click Here for a copy of the weathering supply and tool handout. 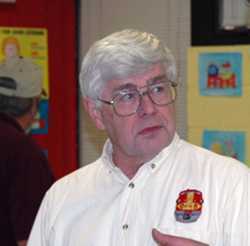 January 2012 - Fred Henize discusses Proper Car Placement in Trains. 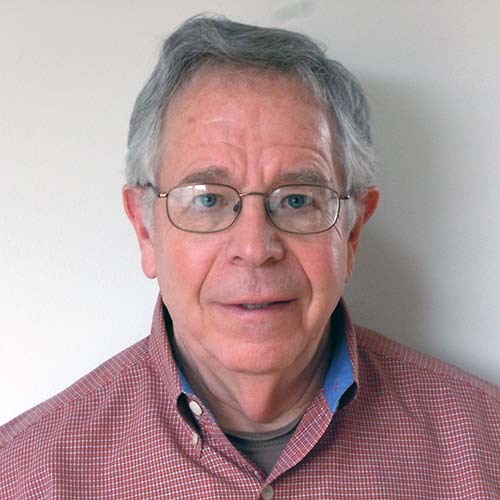 January 2012 - Dave Crement presents his Achievement Program "Structures Application." Click Here for a copy of the AP Structures Application and Guide. Click Here to learn more about the Golden Spike Application. 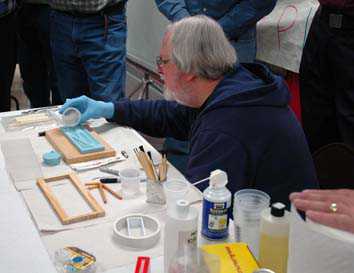 September 2011 - Alan Houtz discusses Weathering techniques using Iwata air brushes and other media. May 2011 - Dan Goins discussed Techniques to make scenic rock faces from ceiling tiles. 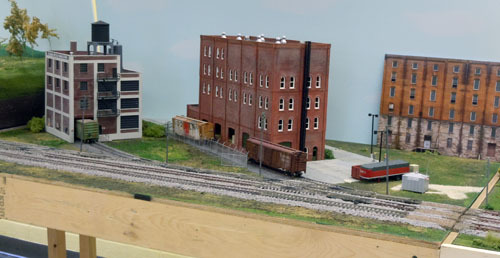 Click Here for a PDF copy of the HO scale trolley contact and sources handout. 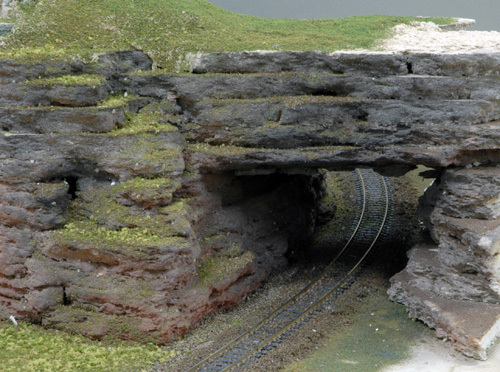 Click Here for a PDF copy of the O scale trolley contact and sources handout. 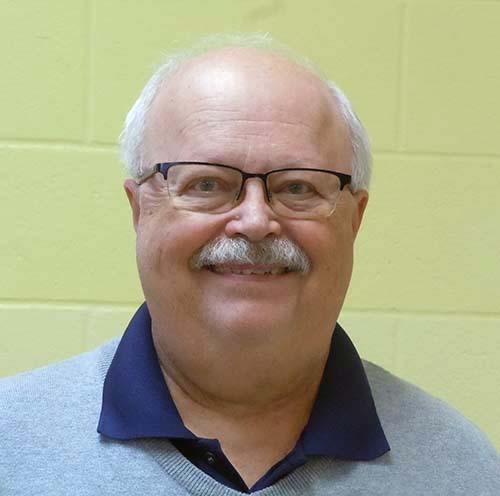 Click Here for a copy of Frank's presentation notes. Click Here for a copy of Frank's handout. December 2010 - Bill Darnaby braved the snow and wind to share his many scenery techniques with the division. 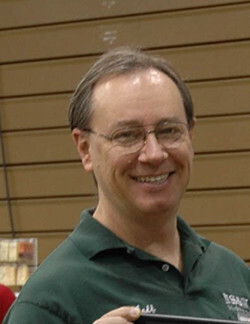 November 2010 - Jim Allen discusses casting techniques with the division. Click Here for a copy of the clinic notes. November 2008 - Jim Spice's Joy of Backdrop Painting hands-on clinic. 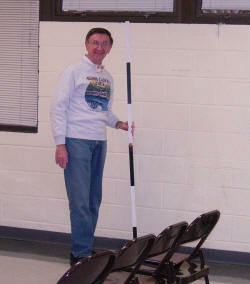 December 2006 - Tim Kleimeyer demonstrates his photo image sizing stick. Take a picture with the stick in it and then you can size the images in the picture by using the 1 foot scale marks of the stick. 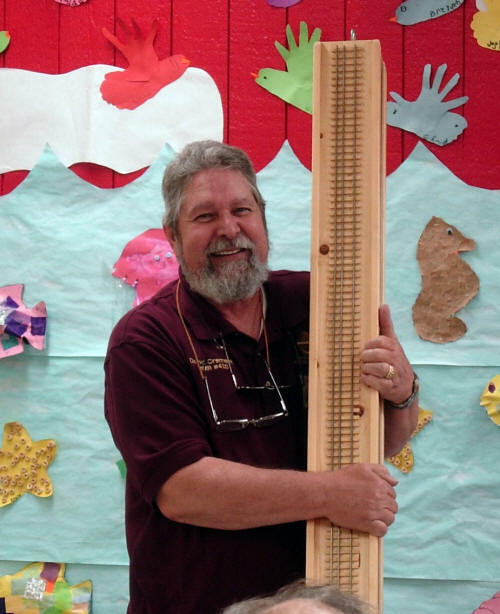 December 2006 - David Leider shows us how to make model roofing paper from tissue paper. 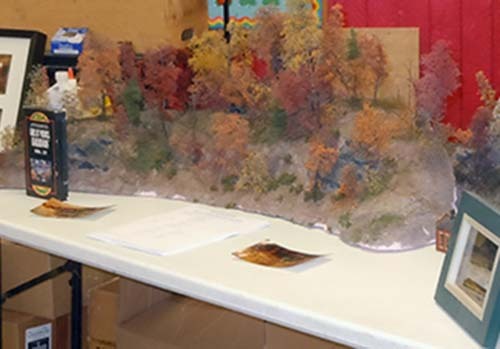 Stretch the paper on a board, paint it the desired color, cut the strips and then glue the paper to the model. 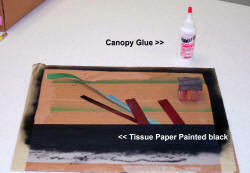 You must use "Canopy Glue" to avoid getting wrinkles in the paper. 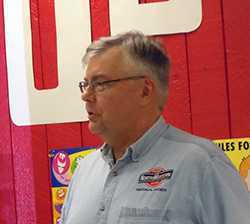 The glue is used on RC model airplanes and available at RC plane hobby shops. 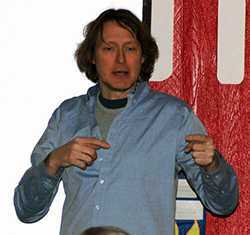 December 2006 - Leif Hansen showed us how he illuminates movable model houses. Leif Hansen devised a clever way to get lighting power to his model houses and still keep them movable between his work bench and the layout. He uses a Molex type electric connector on the bottom of the structure. Male on the structure and female on the layout board. Any similar type connector will work. 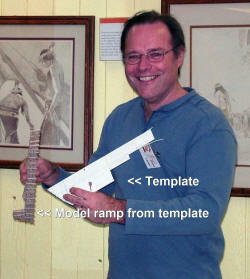 December 2006 - David shows how a simple template can be used to make a complex structure. In this case it is a loading ramp with lots of stringer and rib supports underneath. His surface template defines the size, and also has spaced plastic strips added to make the various stringer and support assemblies. 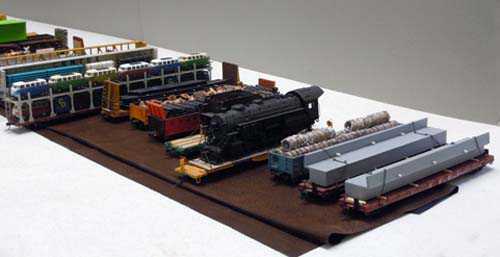 December 2006 - David Crement shows us his multi gauge, 4 sided, test track.